On Friday, May 5, 2017, two days before the final round of France’s presidential election, and four minutes until the legally mandated media blackout came into effect, a statement from Emmanuel Macron’s En Marche! party landed in newsroom inboxes. It announced that, earlier that evening, 9GB of emails and documents from his election campaign had been posted to a document-sharing site. Mr Macron’s En Marche! said it had been a “victim of a massive, coordinated act of hacking”. Emails, documents, accounting files and contracts were included in the information that was published. 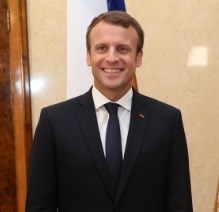 At the time, campaign officials said real documents had been mixed with fake ones to sow “doubt and misinformation” and that it was a clear attempt to undermine Mr Macron. Fake news had already affected both the EU referendum in the UK and the US presidential campaign, so it was no surprise that the French presidential election was likewise a target. What is perhaps surprising is how comparatively little of it there was in France. The Computational Propaganda Project at the Oxford Internet Institute investigates the spread of online misinformation by automated scripts – known as ‘bots’.